Black Wall. The massive cliff looms above us as Matt Pietras and I pull off the road below. We sit in the truck for a minute glancing up through the windshield. There is no visible trail and the hike appears to be straight up. Grab the guidebook, gear, rope, water. Check. And off we go, adventuring up the steep hillside. The trail is rugged and meandering. 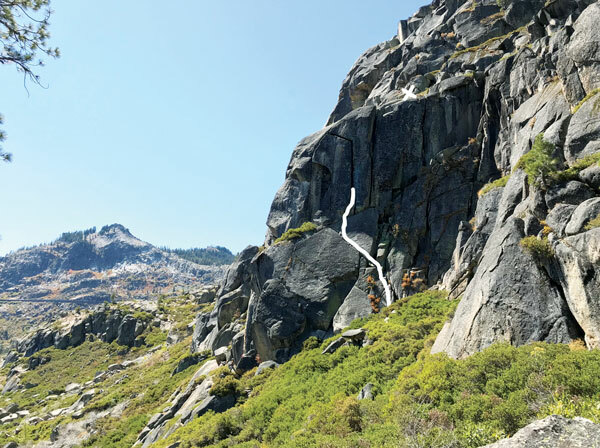 Named for the dark color of the granite, Black Wall is the first climbing area you come to as you drive up Old Highway 40. It is Donner Pass’s largest cliff, home to almost 100 single and multi-pitch trad climbs. Even though there are 10 other cars parked along the roadside, this is a great place to avoid the weekend crowds at the shady Snowshed Wall and other smaller crags. It was here that I stumbled on a gem of a climb on a hot summer’s day. It seemed like the perfect solution to escape the heat. We arrived at 1 p.m., a little early because the cliff sees full sun until mid-afternoon, and the heat had us searching for shade. Straying from our original climbing plan, we hiked toward the right side of the cliff, toward the shadiest area, perusing the guide for options. If you’ve ever climbed at Black Wall, you may have noticed a rope leading into a crack on the far right side of the cliff, no climber anywhere in sight. The other end trails down to a supposed belayer somewhere below, overtaken by the shrubbery. Just a few broken cracks in an unassuming cliff face. You would never know a labyrinth exists here. Merriam-Webster states, “Ancient Greek legends tell of King Minos of Crete, who had the inventor Daedalus create a labyrinth beneath his palace in which was housed the Minotaur, a fearsome monster with the head of a bull and body of a man. The Minotaur was said to have been slain by the Greek hero Theseus, who then managed to find his way out of the labyrinth with the aid of a ball of thread that had been given to him by Ariadne, the daughter of Minos.” Just something to chew on as you begin to explore this passageway back into the rock. What lives in the blackness of those deep recesses? Your belayer pays out rope, your thread, as you find your path through the labyrinth. 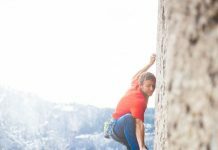 The climb can be done in one pitch or up to three pitches. It’s only 100 feet. But, we choose to do it in two to accommodate the rope drag. We begin on a left trending crack and Pietras climbs to the ledge below the chimney. Up he goes, gaining the steep face just below the crack and when the crack is wide enough, he disappears from sight. I can hear the effort of his progress as the rope inches slowly into the crack. Finally, silence and stillness. It’s my turn to follow this pitch into the dim interior of the cliff. The rock is cool. Sweet relief. But my legs and shoulders pay the price, as I have only worn my summer shorts and a tank. Following a chimney traverse where the floor drops out below you is akin to being on lead. There is no gear here. It is definitely a no-fall zone. We wind up and around corners and giant features. Mild claustrophobia is overcome by the thrill of exploration. Following the light, we emerge abruptly and all too soon from a small opening on top of the cliff. I didn’t want it to be over. And I couldn’t wait to come back for a repeat, wearing more clothing of course. hiking down the right trail. 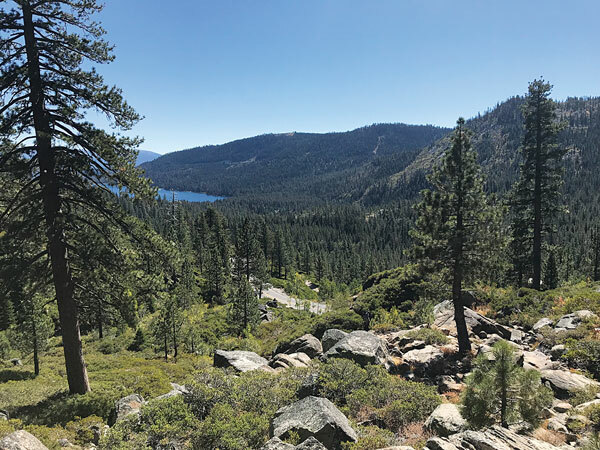 Truckee Donner Land Trust and its partners have made significant improvements to the access trail. It is still easier to begin on the left side of the main horseshoe-shaped trail, which begins up a large sloping rock ramp. Hike, scramble and wind up through giant boulders. Bushwacking can still be had on the right side of the trail because it can be a little more difficult to follow. The trails are unmarked. The side trails are less traveled and bushy. 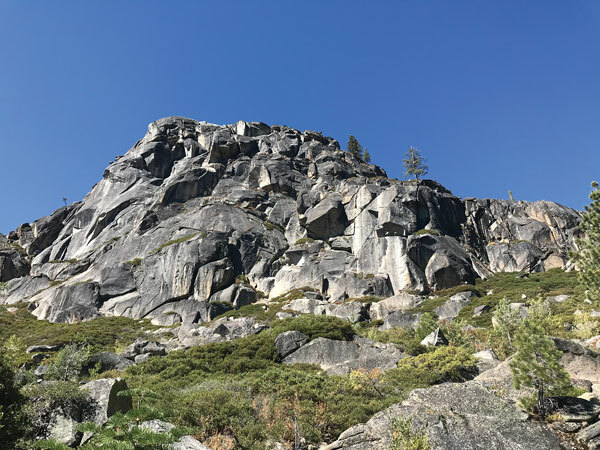 The Land Trust purchased Black Wall in 2015 and has since been working to accommodate the growing popularity of rock climbing on Donner Summit. 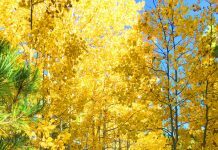 With autumn’s cooler temperatures, now is the time to take advantage of quiet mornings with full sun exposure. Happy adventuring. For more information, visit mountainproject.com or pick up a copy of “North Tahoe, A Rock Climber’s Guide” at a local shop. 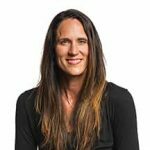 Alyssa brings more than 20 years of design experience to Tahoe Weekly, with a degree from Rhode Island School of Design. 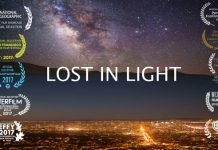 Her work experience includes nine years in Colorado Tourism, where she lived for 15 years. She loves spending time outdoors and with her daughter, Anna, and tries to bring creativity into everything she does, whether it’s art, skiing, rock climbing or cooking … always looking forward to the next adventure. Alyssa moved to Lake Tahoe in 2009.